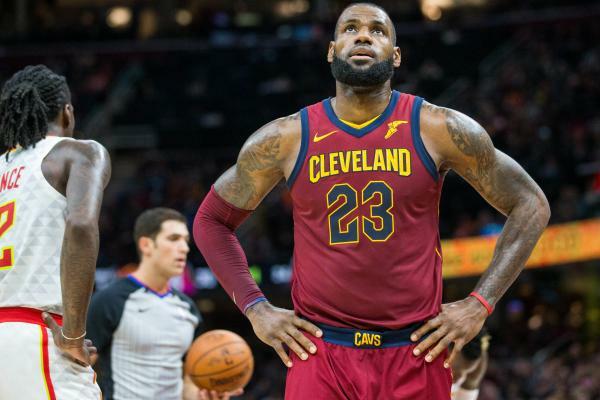 LeBron on Kaepernick: "He's Being Blackballed"
Like in many other areas of his professional and personal life, LeBron James may be at the forefront of a new era of professional athletes who are outspoken about their beliefs and willing to add their commentary on controversial issues that are facing the country. The issue that has seemingly caused the most controversy and derision in sports in recent months (even though the purpose of it is to promote equality and peace) has been national anthem protests in the NFL. The person who started the movement in most people’s eyes last year was former San Francisco 49ers Quarterback and current NFL free agent Colin Kaepernick. He has not been signed by an NFL team since being released in the off-season and many people think that he is being blackballed by the NFL, count LeBron in that group. This sort of comment will rile a sector of sports fans, the same group that is diametrically opposed to the protests (I am not in that group), LeBron is completely right here. Kaepernick is definitely talented enough and boasts enough of a resume with his play to warrant a spot on an NFL roster. The NBA has had a long standing rule against not standing for the National Anthem, which players have followed this season, as much out of respect for NBA Commissioner Adam Silver as the rule in my opinion. There have been numerous voices in the NBA who have made their support known of Kaepernick’s actions including Detroit Pistons Head Coach Stan Van Gundy.